This one starts of with a contraption nicknamed the 'psoasinator' which is quite simply one of the most intense home soft tissue tools I've ever seen. Now on to the mobility. 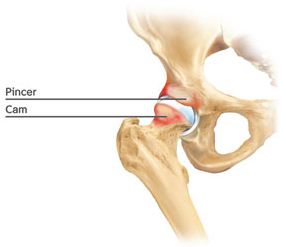 Hip impingement is something that has become must more common in the world of sports medicine. No one is quite sure if it is occurring more now compared to history or if we just happen to be getting more aware of the problem and diagnosing it more frequently. Either way it doesn't take away from the point that it hurts and is very debilitating. This is a great video to start with in order to start clearing more room for your hip to move and eliminate pain at the same time.